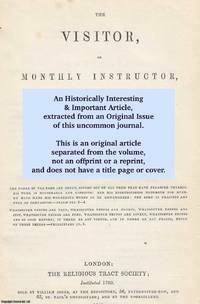 United Service Journal and Naval and Military Magazine, London, 1832. First Edition. Disbound. Very Good. 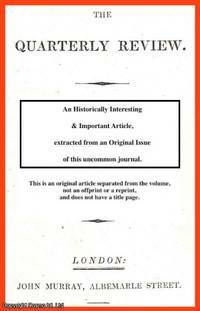 6 Pages Note; this is an original article separated from the volume, not a reprint or copy. Size: Octavo (standard book size). Quantity Available: 1. 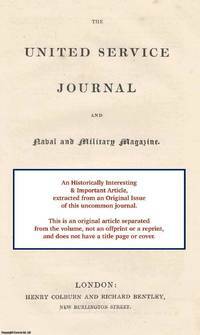 Category: Naval and Military Magazine; Inventory No: 293773.. The Visitor, London, 1849. First Edition. Disbound. Very Good Condition. Note; this is an original article separated from the volume, not a reprint or copy. Size: Octavo (standard book size). 2 pages. Quantity Available: 1. 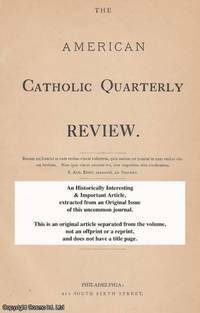 Category: The Visitor; Inventory No: 290507..
American Catholic Quarterly Review, 1886, Volume XI, 1886. First Edition. Disbound. Very Good Condition. 12 Pages. Note; this is an original article separated from the volume, not a reprint or copy. Quantity Available: 1. 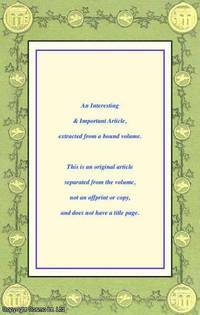 Category: American Catholic Quarterly Review; Inventory No: 144504.. The Royal Society, 1973. First Edition. Disbound. Very Good. 21 pages, 1 photographic portrait with facsimile signature. Note; this is an original article separated from the volume, not a reprint or copy. Size: Octavo (standard book size). Quantity Available: 1. 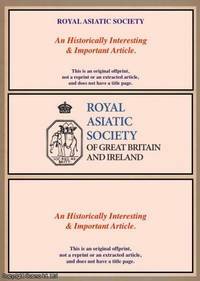 Category: Royal Society Memoirs; Inventory No: 230888..
Badminton Magazine, 1906. First Edition. Disbound. Very Good Condition. 12 Pages, illustrated. Octavo. Note; this is an original article separated from the volume, not a reprint or copy. Quantity Available: 1. 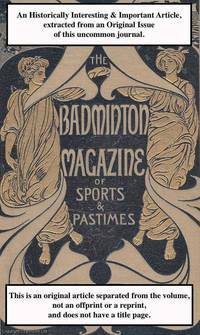 Category: Badminton Magazine; Inventory No: 195354..
Badminton Magazine, 1906. First Edition. Disbound. Very Good Condition. 12 Pages, with illustrations. Note; this is an original article separated from the volume, not a reprint or copy. Quantity Available: 1. Category: Badminton Magazine; Inventory No: 175555..
Bristol and Gloucestershire Archaeological Society, London, 1953. First Edition. Disbound. Very Good. 15 Pages and 1 Fold-Out Plate Note; this is an original article separated from the volume, not a reprint or copy. Size: Octavo (standard book size). Quantity Available: 1. 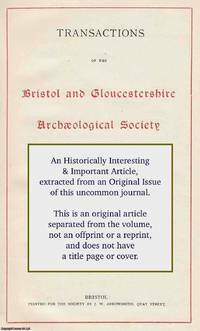 Category: Bristol and Gloucestershire Archaeological Society; Inventory No: 291442..
Report of the British Association for the Advancement of Science, 1951. First Edition. Disbound. Very Good. 6 pages. Note; this is an original article separated from the volume, not a reprint or copy. Size: Octavo (standard book size). Quantity Available: 1. Category: British Association for the Advancement of Science; Inventory No: 225228..
Report of the British Association for the Advancement of Science, 1951. First Edition. Disbound. Very Good. 6 pages. Note; this is an original article separated from the volume, not a reprint or copy. Size: Octavo (standard book size). Quantity Available: 1. Category: British Association for the Advancement of Science; Inventory No: 225237..
Report of the British Association for the Advancement of Science, 1963. First Edition. Disbound. Very Good. 5 pages. Note; this is an original article separated from the volume, not a reprint or copy. Size: Octavo (standard book size). Quantity Available: 1. 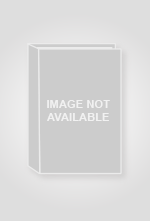 Category: British Association for the Advancement of Science; Inventory No: 225953..
Report of the British Association for the Advancement of Science, 87th. Meeting, Bournemouth, 1919, 1919. First Edition. Disbound. Very Good Condition. Octavo. 2 pages. Note; this is an original article separated from the volume, not a reprint or copy. Quantity Available: 1. 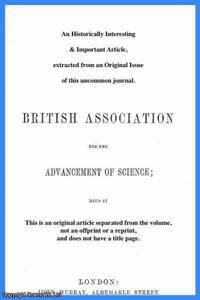 Category: British Association for the Advancement of Science; Inventory No: 214843..
Report of the British Association for the Advancement of Science, 87th. Meeting, Bournemouth, 1919, 1919. First Edition. Disbound. Very Good Condition. Octavo. 2 pages. Note; this is an original article separated from the volume, not a reprint or copy. Size: Octavo (standard book size). Quantity Available: 1. Category: British Association for the Advancement of Science; Inventory No: 221391..
Report of the British Association for the Advancement of Science, 32nd. Meeting, Cambridge, 1862, 1862. First Edition. Disbound. Very Good Condition. Octavo. 2 pages. Note; this is an original article separated from the volume, not a reprint or copy. Quantity Available: 1. Category: British Association for the Advancement of Science; Inventory No: 154737..
Quarterly Review, John Murray, London, 1945. First Edition. Disbound. Very Good Condition. 14 pages. Note; this is an original article separated from the volume, not a reprint or copy. Size: Octavo. Quantity Available: 1. Category: Quarterly Review; Inventory No: 174216..
Quarterly Review, John Murray, London, 1915. First Edition. Disbound. Very Good Condition. 23 pages. Library stamp to top of the page. Note; this is an original article separated from the volume, not a reprint or copy. Size: Octavo. Quantity Available: 1. Category: Quarterly Review; Inventory No: 172615..